Kashgari Hamza, 23, the day before the birthday of the Prophet Mohammed published a comment on Twitter: " I do not like the halos of divinity around you. I shall not pray for you ". Forced to flee; he was arrested in Malaysia, and will be tried at home for blasphemy. He risks the death penalty. 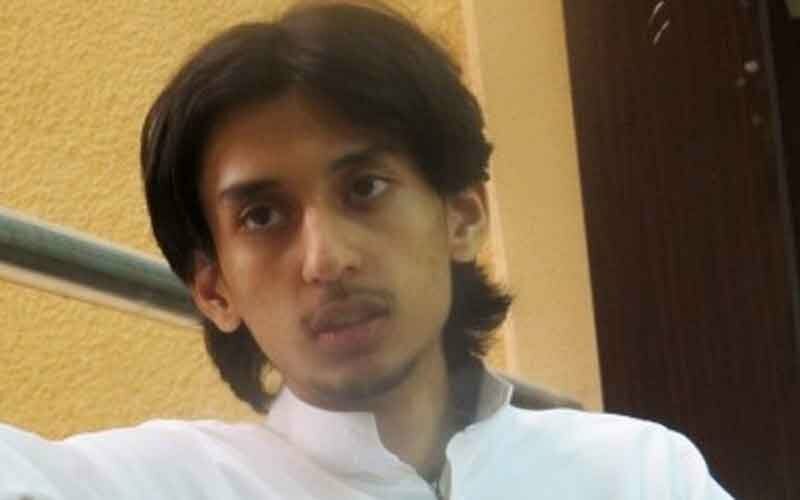 Kuala Lumpur (AsiaNews / Agencies) - A Saudi poet and writer, Kashghari Hamza, who fled over a week from his country to avoid threats and the arrest warrant issued by the courts of Riyadh on charges of insulting the prophet of ' Islam, Muhammad, was arrested yesterday in Kuala Lumpur and will be extradited to Saudi Arabia. He will be put on trial for insulting the Islamic religion. The young man was forced to flee and abandon his country following the controversy unleashed by a few sentences, deemed offensive, written on 'Twitter' about Muhammad. Last week before the anniversary of the birth of the Prophet Muhammad, Hamza, 23 yearsof age, wrote a brief comment on Twitter: "On your birthday, I will say that I have loved the rebel in you, that you’ve always been a source of inspiration to me, and that I do not like the halos of divinity around you. I shall not pray for you". And he continued thus: " On your birthday, I find you wherever I turn. I will say that I have loved aspects of you, hated others, and could not understand many more. , I shall not bow to you. I shall not kiss your hand. Rather, I shall shake it as equals do, and smile at you as you smile at me. I shall speak to you as a friend, no more". Hamza recieved than 30 thousand responses within a day, was accused of blasphemy, and sought his death. He removed the Tweets, and wrote an apology, asking forgiveness. But the flood did not stop. Someone posted his address on YouTube, and vigilantes from the nearby mosque came looking for him. The information minister banned all newspapers from publishing anything written by him, and the Council of Elders issued a rare statement of condemnation and harsh request that he be put on trial. King Abdullah himself issued the arrest order. Hamza Kashgari, feeling the pressure mounting, flew to southeast Asia. In an interview he said he was stunned by the turn events have taken, but was resigned to the fact that he would never return home. When arrested he was trying to arrange a trip to a country that could give him asylum. A Facebook group, which formed rapidly, and has eight thousand members, entitled "The Saudi People Demand the Execution of Hamza Kashgari". It is indeed very probable that he will face the risk of being sentenced to death.